Magritte wasn't just a mainstream surrealist, he was also capable of producing images of enormous tenderness and tactile humour. A series of photographs I produced - starting around 1970 - drew inspiration from the Belgian maestro and acted as a framework for my own experiments that were really rooted in pushing the boundaries of technical and visual illustration - with a camera. 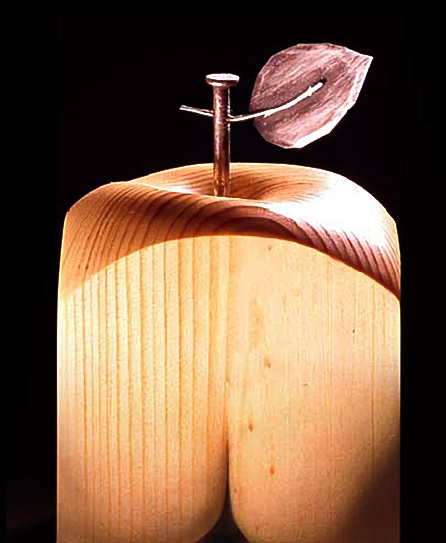 I was prompted to post this image from my latest book FASHION ETCETERA, by the announcement of an exhibition in London featuring the work of a 20th century photographer and life adventurer, Marcel Mariën (also Belgian and also a surrealist with a penchant for using apples as subject matter) at the London Gallery Diemar / Noble Photography. 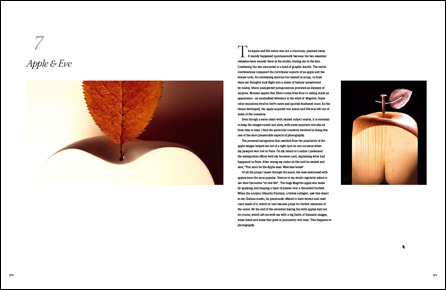 The thumbnail below shows the image in its book spread, the introduction to the final chapter of FASHION ETCETERA, Apple & Eve. 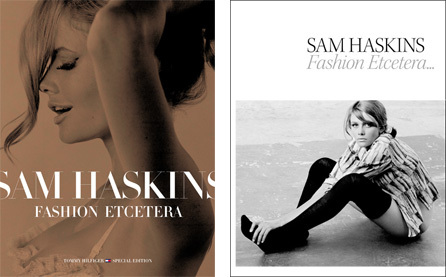 You are currently browsing the Sam Haskins Blog blog archives for June, 2009.